Home > RootRise Technologies Pvt. Ltd. Developer: RootRise Technologies Pvt. Ltd.
XPSView is very simple and intuitive application to open and read XPS (XML Paper Specification, *.xps) and OpenXPS (*.oxps) documents. 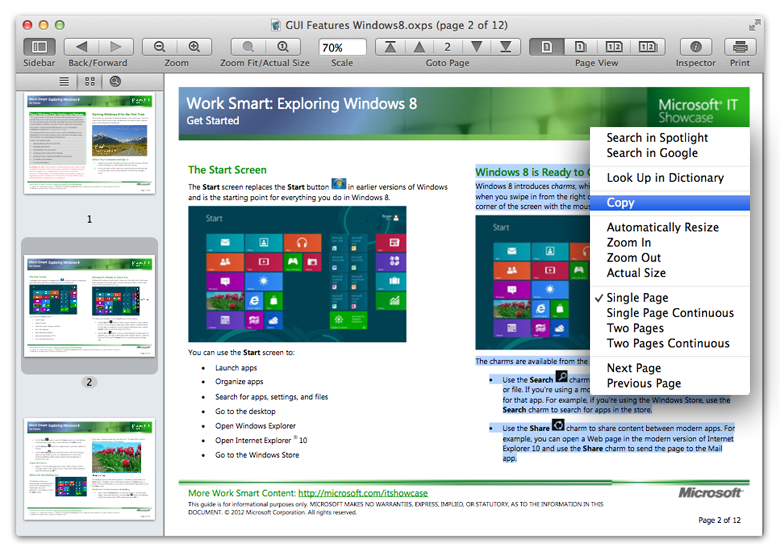 XPSView offers you fantastic reading experience using different page reading styles with sidebar consisting Table of content, Page Thumbnail, Searching pane. In addition bookmark management, viewing scale, page navigation, reading history, document inspector and Full Screen support makes XPSView easy-to-use and complete XPS/OXPS document viewing solution. Open XPS and OXPS documents on Mac - Apps and on-line services for viewing and converting XPS, OXPS documents. If you need more information please contact the developers of XPSView (RootRise Technologies Pvt. Ltd.), or check out their product website.